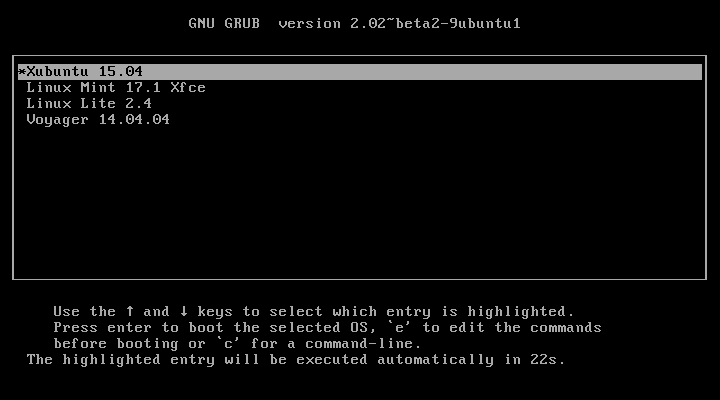 We will make Xfce Multiboot ISO 32-bit edition with Grub2. After some time, LiveISO image “xfce-multiboot-201505-32bit.iso” will be created and stored in “/home/username/multiboot/”. We will test LiveISO image “xfce-multiboot-201505-32bit.iso” in VirtualBox to discover if there are any errors and to correct them. After some time, MD5SUM file “xfce-multiboot-201505-32bit.iso.md5” will be created and stored in “/home/username/multiboot/”. Next step is creating torrent for LiveISO image “xfce-multiboot-201505-32bit.iso”. Run BitTorrent client (in my case it is qBittorrent), go to meni “Tools -> Torrent Creation Tool”. In new opened window click on “Add file”, browse to folder where is LiveISO image “xfce-multiboot-201505-32bit.iso”, and it is “/home/username/multiboot/”, click on/select LiveISO image “xfce-multiboot-201505-32bit.iso” and then click on “Open”. Then click on “Create and save…”. Browse to folder where we will stored torrent, and it is “/home/username/multiboot/”, and name it torrent with “xfce-multiboot-201505-32bit.iso.torrent”. After some time, torrent file “xfce-multiboot-201505-32bit.iso.torrent” will be created and stored ih “/home/username/multiboot/”. Now we can LiveISO image “xfce-multiboot-201505-32bit.iso”, MD5SUM file “xfce-multiboot-201505-32bit.iso.md5” and torrent torrent “xfce-multiboot-201505-32bit.iso.torrent” upload to some host and share download links. Also, we can burn LiveISO image “xfce-multiboot-201505-32bit.iso” on DVD. For Xfce Multiboot ISO we used original untouched ISO’s without any customization, as you can see through this short tutorial. When you work with some others distributions you must do some changes in “grub.cfg” file. Translation from serbian: Kako napraviti Multiboot ISO – Grub2.